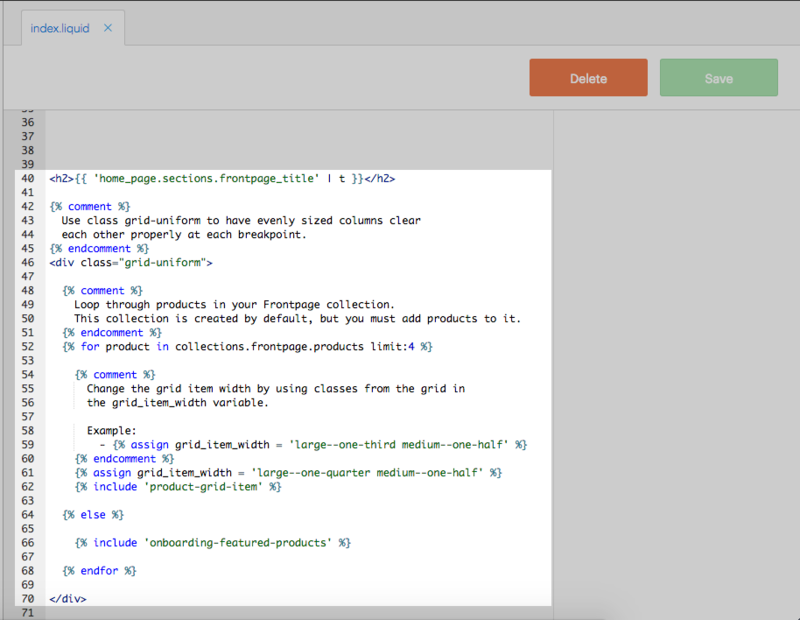 Ecommerce Frontpage Collection Editing and Troubleshooting – How can we help? Learn more about managing your Frontpage Collections on Vend Ecommerce with some of our frequently asked questions. Important: Be careful when editing the HTML/CSS of your store. Removing the wrong lines could break your store and prevent customer access . 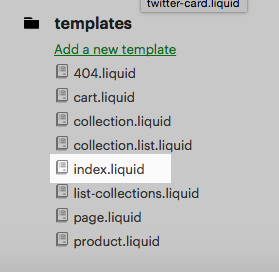 The placeholder images appear because no products have been added to your Frontpage collection. 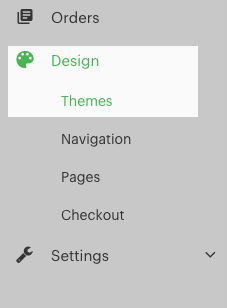 Once you add a product to the frontpage collection then the placeholder products will be removed. To learn how to add products to your frontpage collection click here. This could be because the frontpage collection has been deleted. To fix this, create a new collection called 'frontpage' and add some products to this collection. Important: We recommend this for advanced users only. Editing the wrong HTML/CSS can break your store and prevent customer access. Before proceeding you may want to take a backup of this text by saving it into a word document. 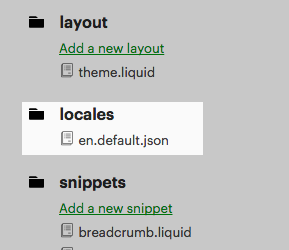 Under the locales section, select en.default.json. Rename "Frontpage Collection" below to your new heading and save the change. Important: If the collection you are changing to has spaces in the title replace these spaces with hyphens when updating the above line. If you put any spaces in this line your frontpage will display an error and customers will not be able to access your store. Change the 'limit' number to a higher value. e.g change ' limit:4 ' to ' limit:8 '.